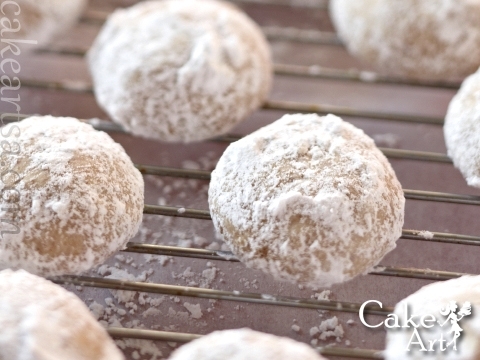 Another Mexican shorbread cookie, like Grandma Esperanza Herrera’s Pan de Polvo Cookies, pecan wedding cookies are made from scratch with local pecans, hand-formed and rolled in powdered sugar. Please come by the bakery and try some Mexican pecan wedding cookies. You don’t even have to be engaged! We bake pecan wedding cookies from scratch every day, but we do run out so please call us at (210) 277-0308 to reserve your cookies.